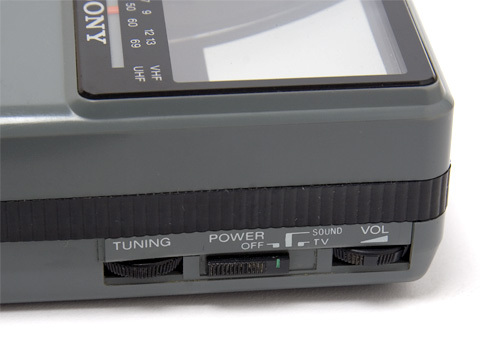 DTV Converter Box Battery Hack Means My Sony Watchman Is No Longer Obsolete | OhGizmo! Like any technophile, I was quite excited for the DTV transition to finally hit the U.S. I mean free digital and HD signals over the air? What downside could there possibly be? 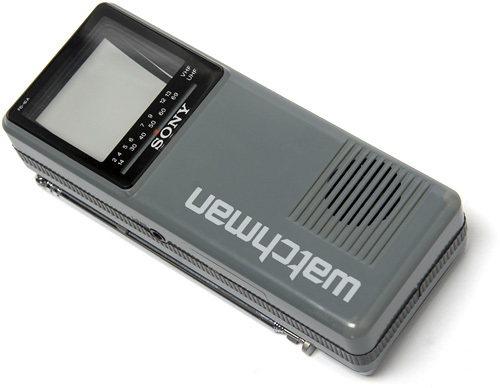 I was on cloud nine, until I realized that my beloved Sony Watchman, the first gadget I ever skimped and saved for, would become useless once the analog broadcasts stopped transmitting. And unfortunately, all of the DTV converter boxes currently on the market are AC powered, which totally negates the ‘portable’ aspect of a portable TV. But over on Instructables, Kipkay has posted a tutorial on how to hack one of those converter boxes to run on battery power. Besides making your portable TV portable again, the hack is also useful for camping or in the event of emergencies when there’s no power and you have to rely on a portable set. 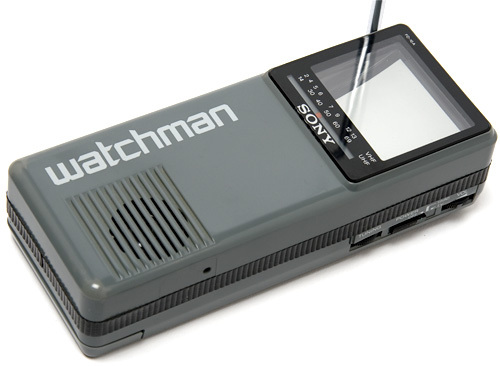 Now if I could just find a way to splice the signal from a DTV converter box into my Watchman, I’d be all set. And if you’re curious, after the jump I’ve included a few more glamor shots of my Watchman that I had sitting on my drive. 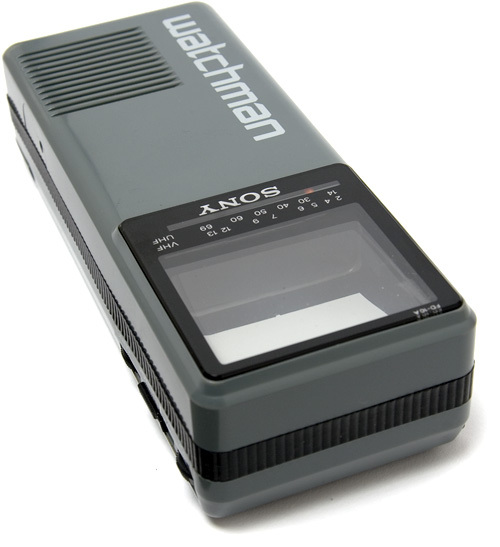 Any luck yet finding a way to get you watchman converted by battery operated box. I have two 5″ black & white screen TV to get converter boxes for. But I have not found a 12volt battery operated one. If you have a portable TV that only has a built in antenna; I believe you can take a piece of wire with an alligator clips on the ends and clip one side onto your TV's built in antenna. Stick an unbent paper clip into the “TV RF out” jack on the back of the converter box and clip the other end of the wire there. 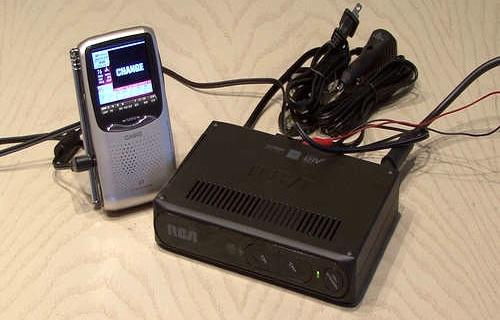 Turn the converter on and tune the Watchman to VHF Channel-3. I don't have to buy a satellite dish to watch my WatchMan. Hallelujah!!!! 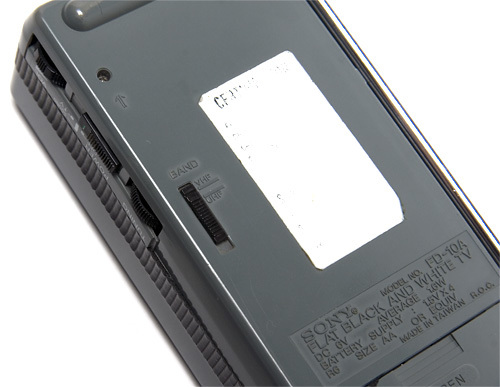 I have one: a FD-20A Flat Black and White TV DC 6v average 2.2W battery supply: 1.5×4 L40 size AA or equiv. made in Japan in July 1984. Interest? I have one made in Japan in 1984. Clean and work(ed) well, when analog. will have to check out the conversion or maybe sell and let someone else use it!